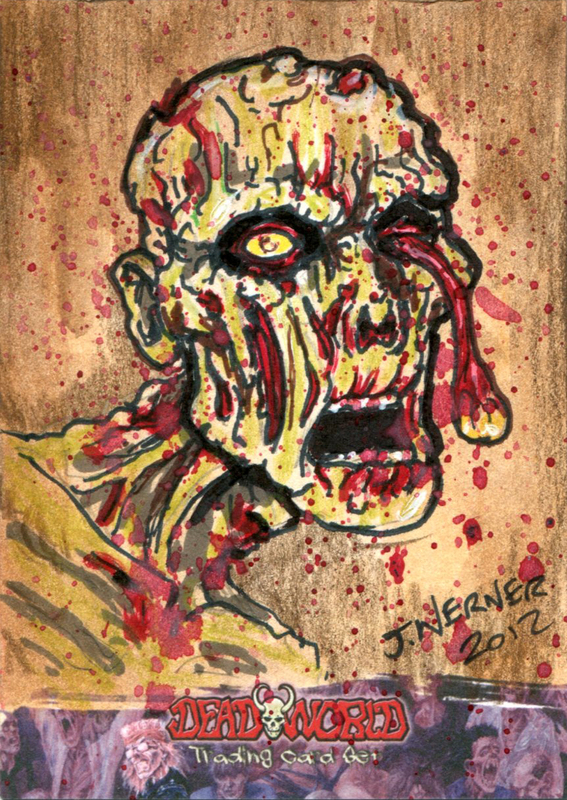 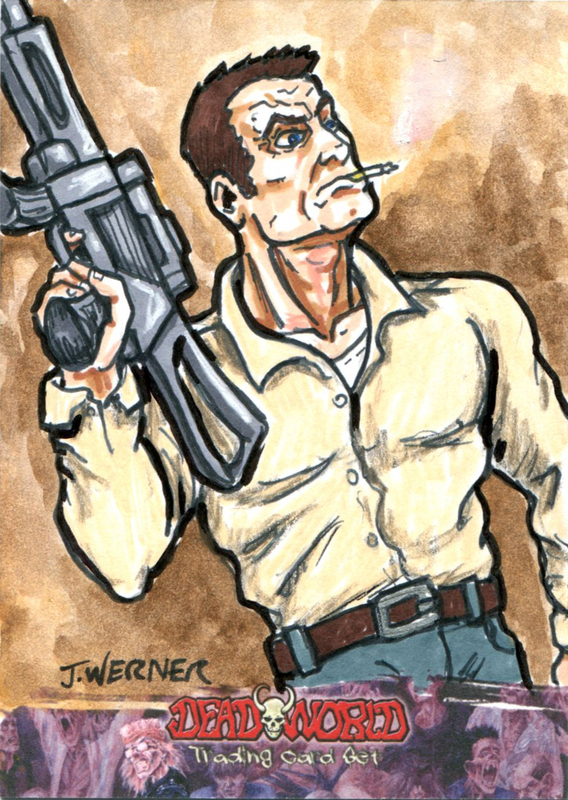 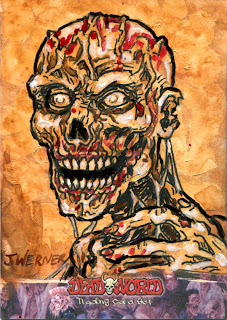 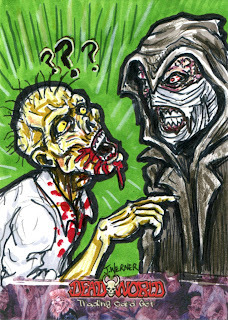 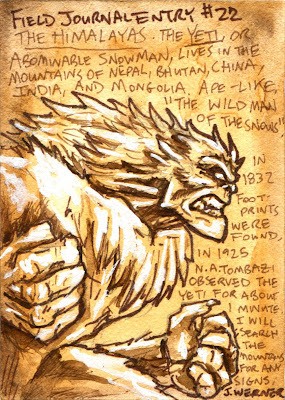 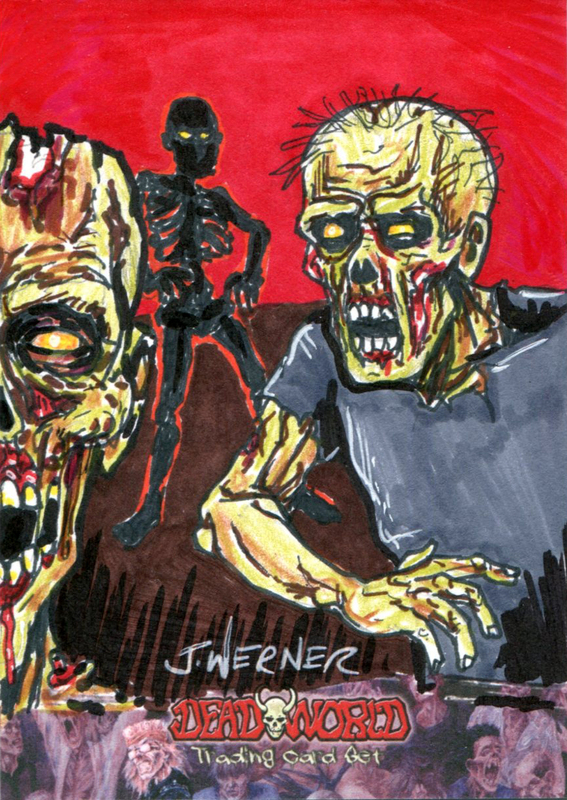 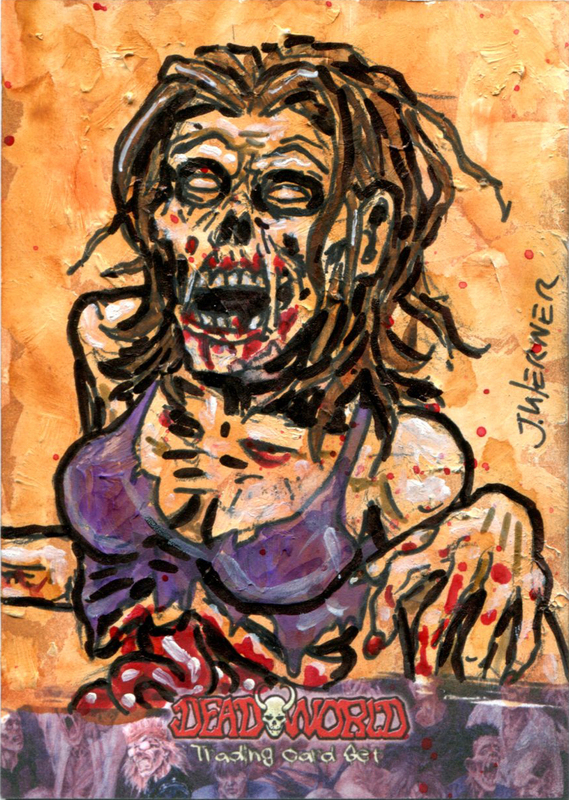 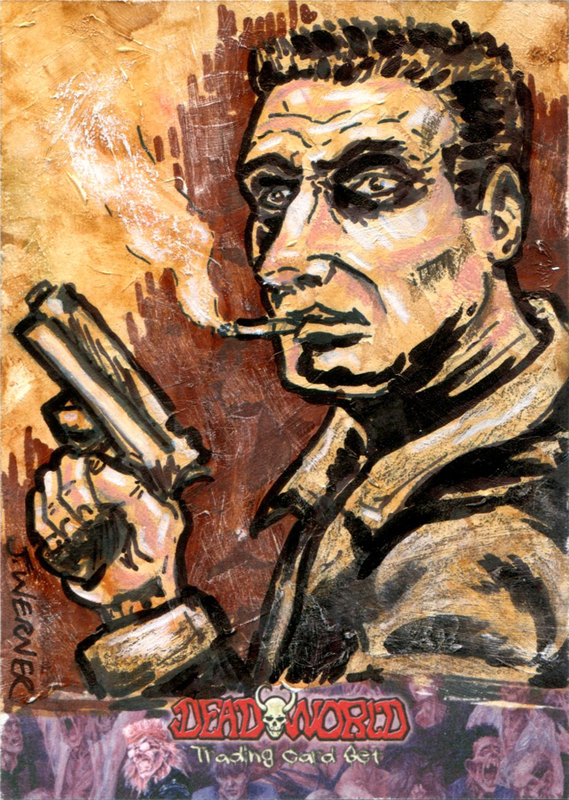 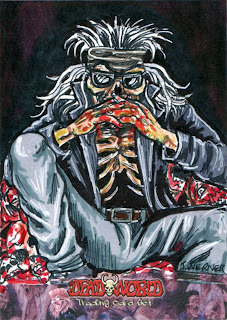 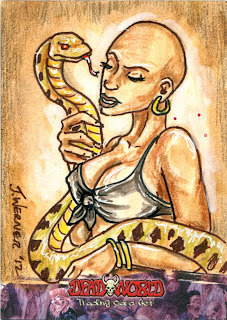 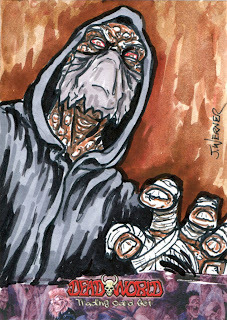 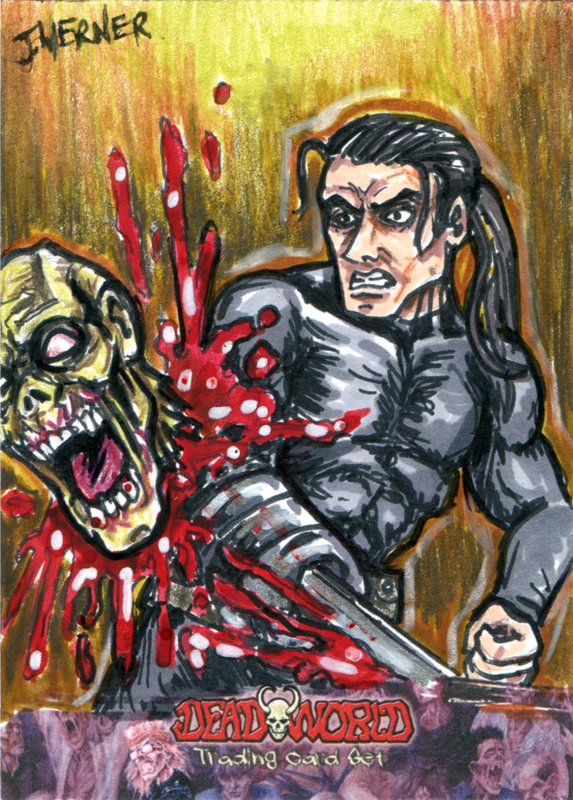 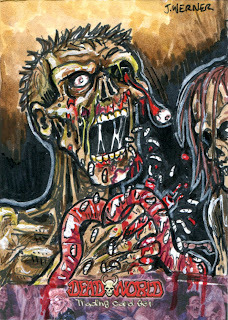 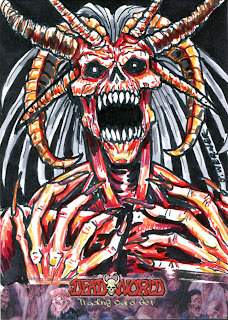 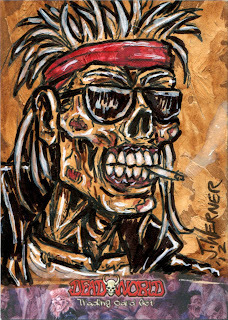 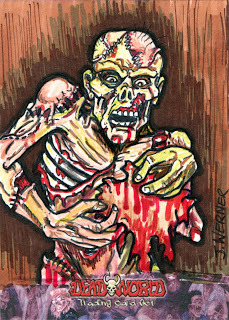 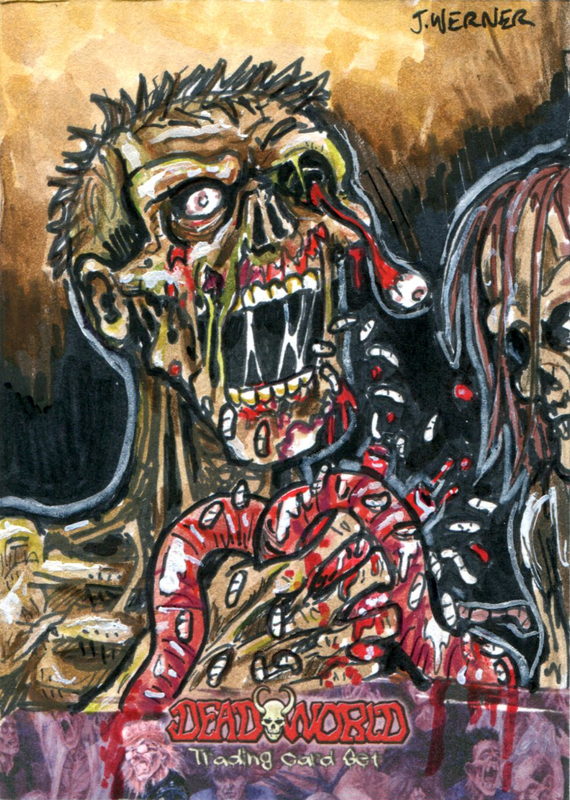 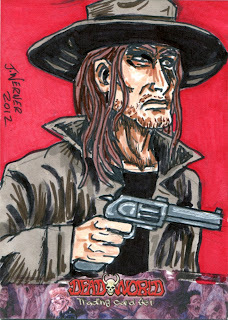 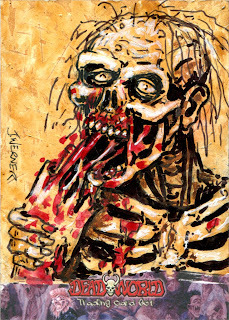 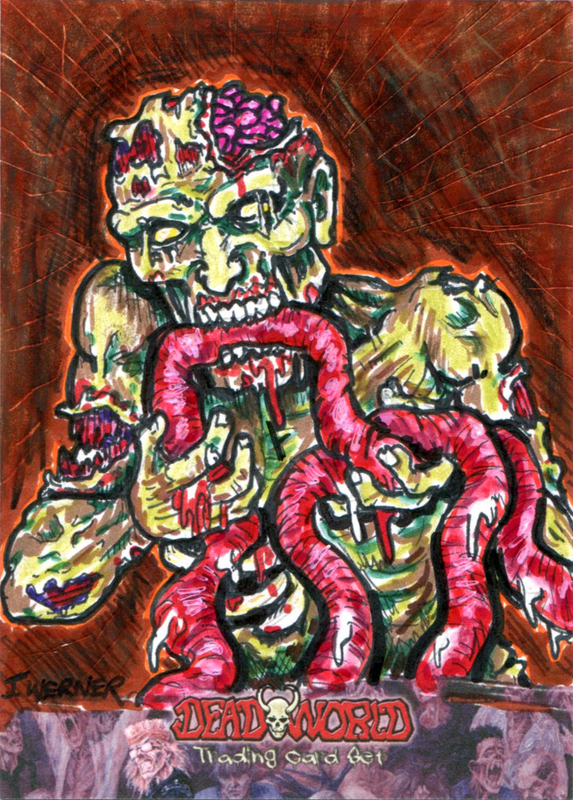 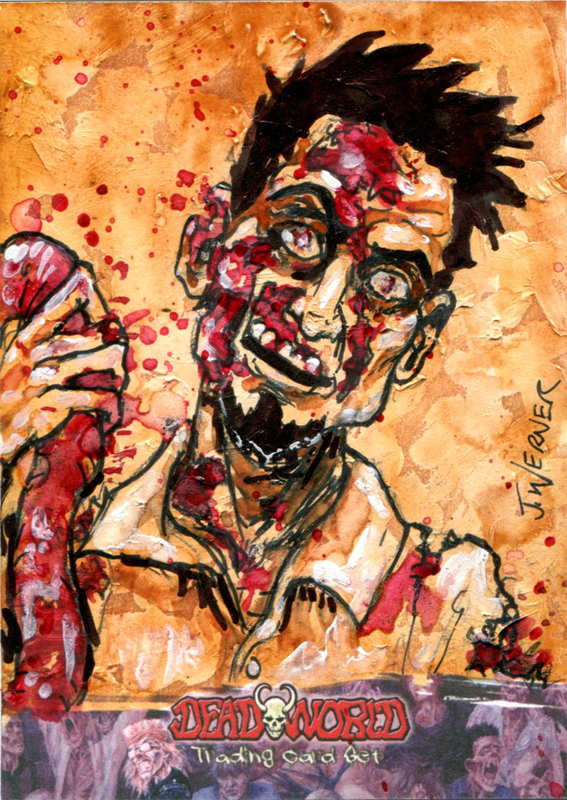 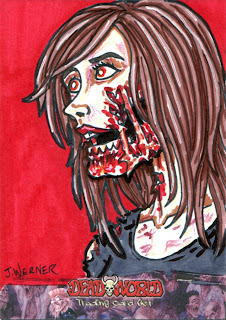 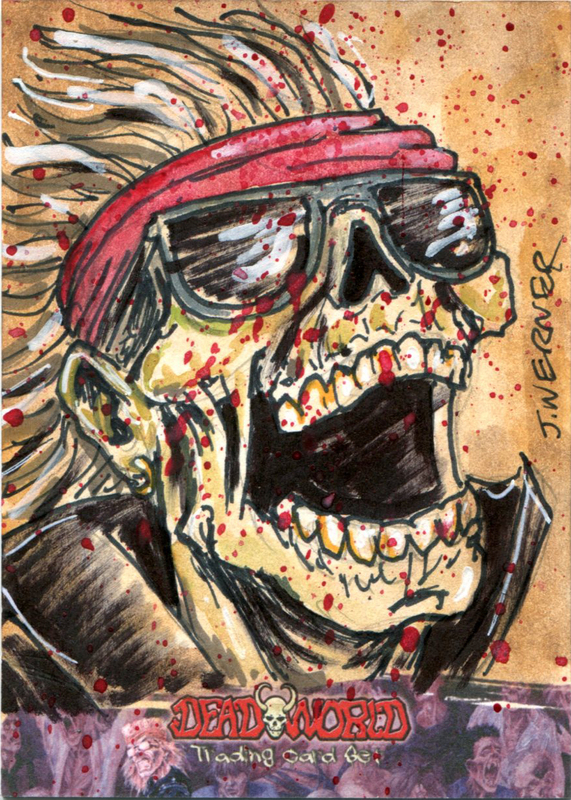 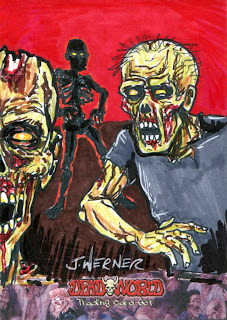 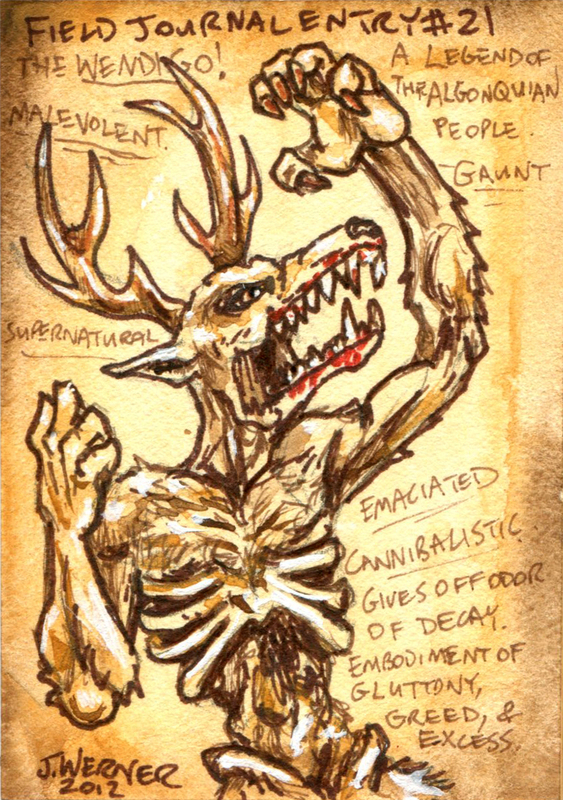 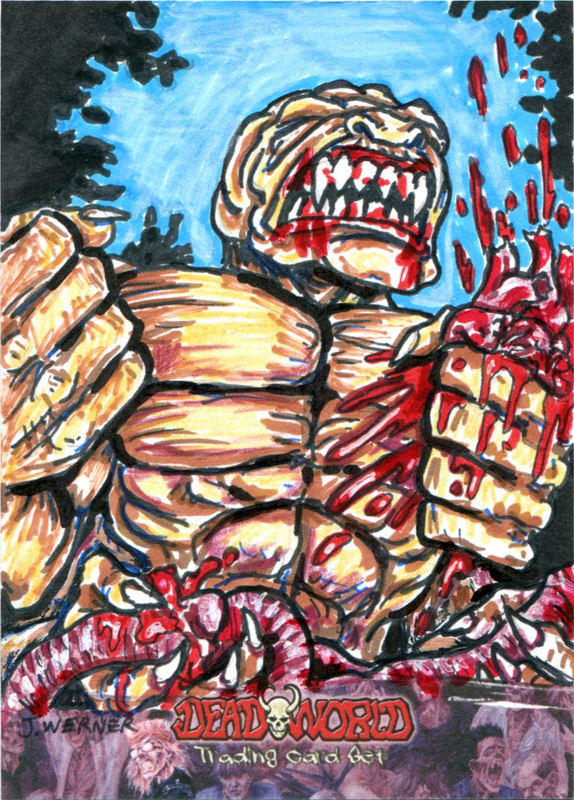 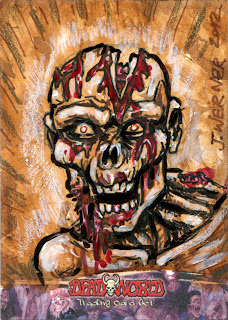 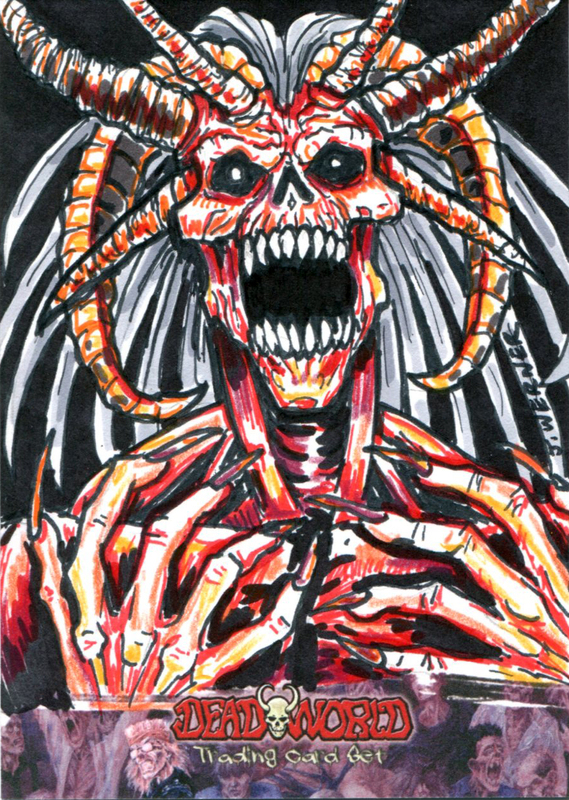 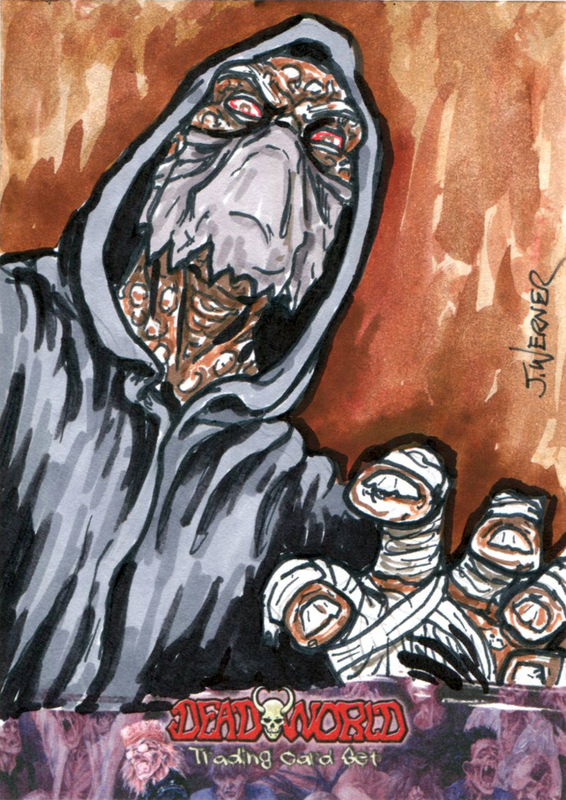 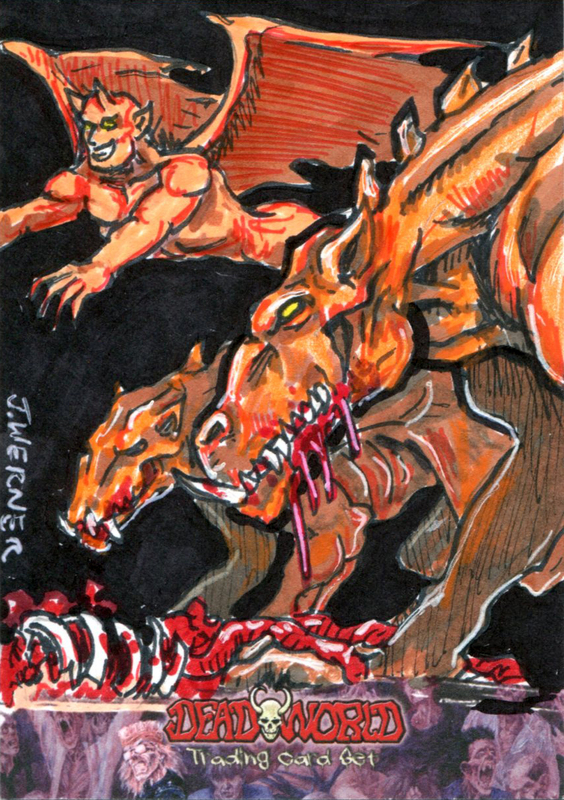 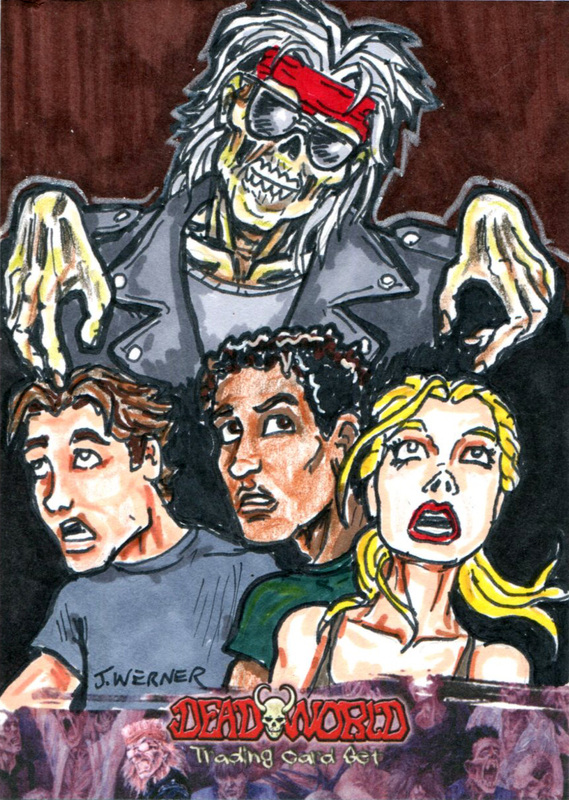 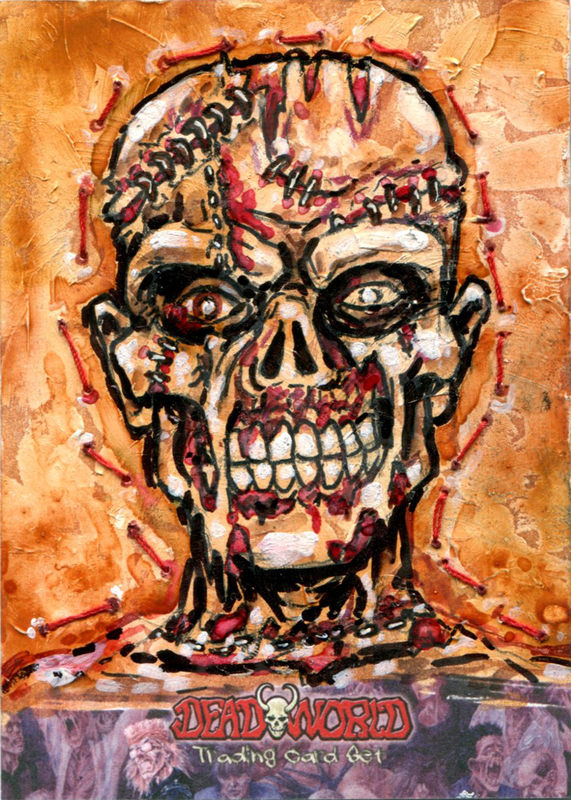 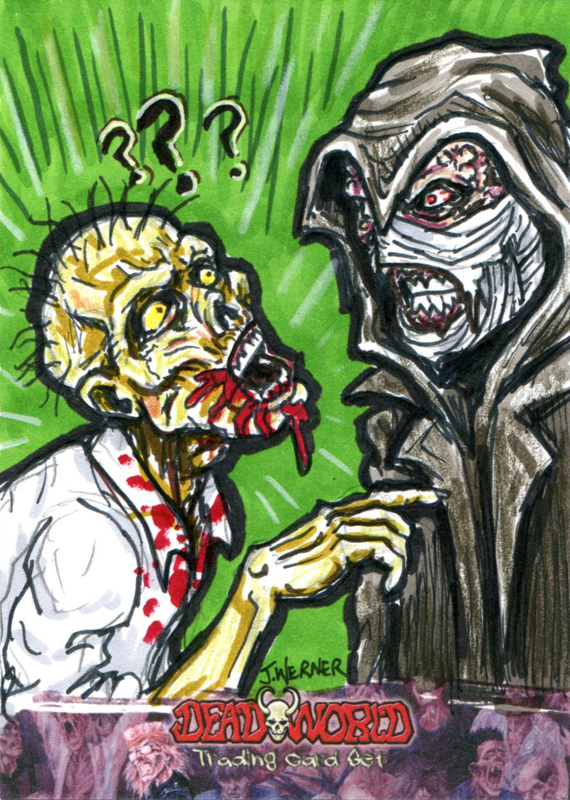 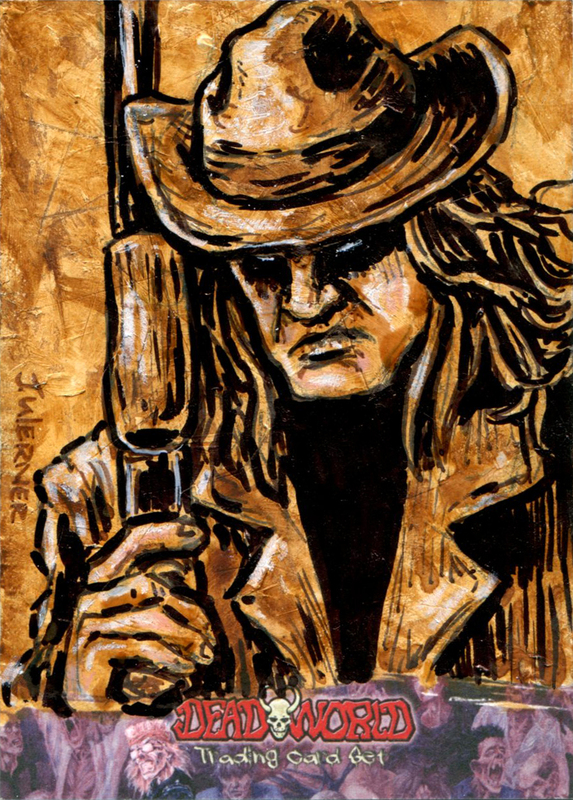 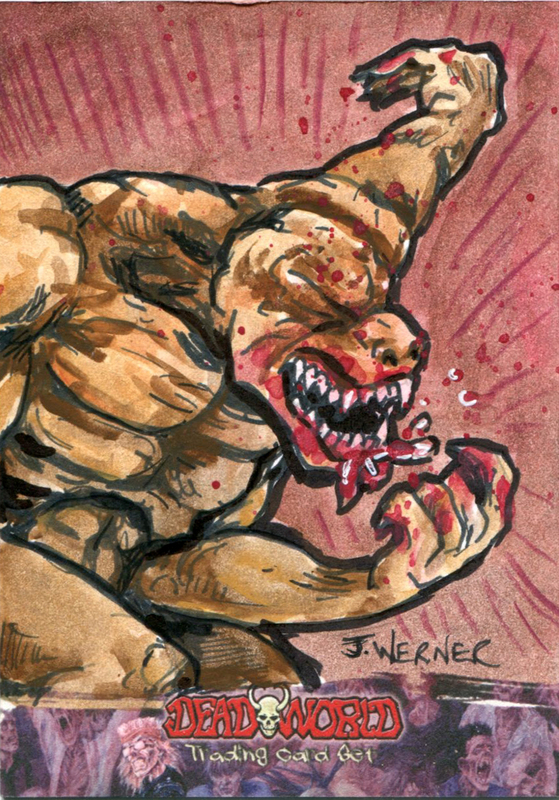 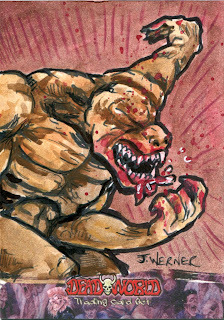 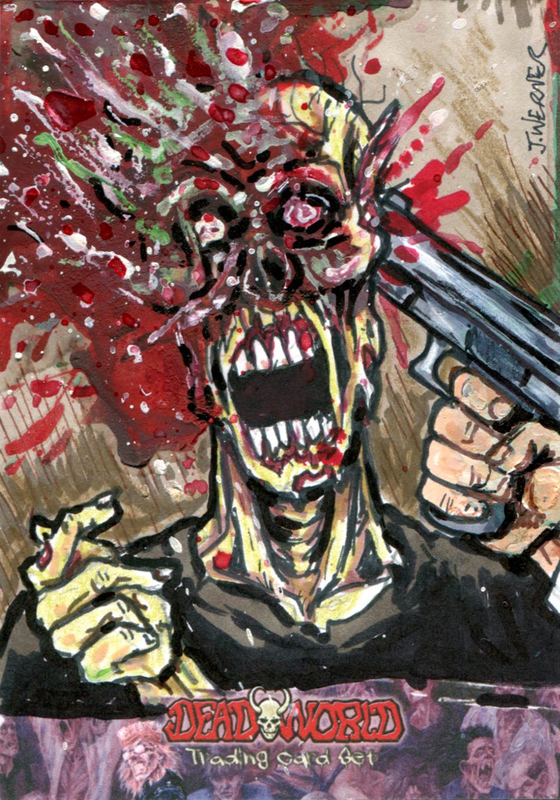 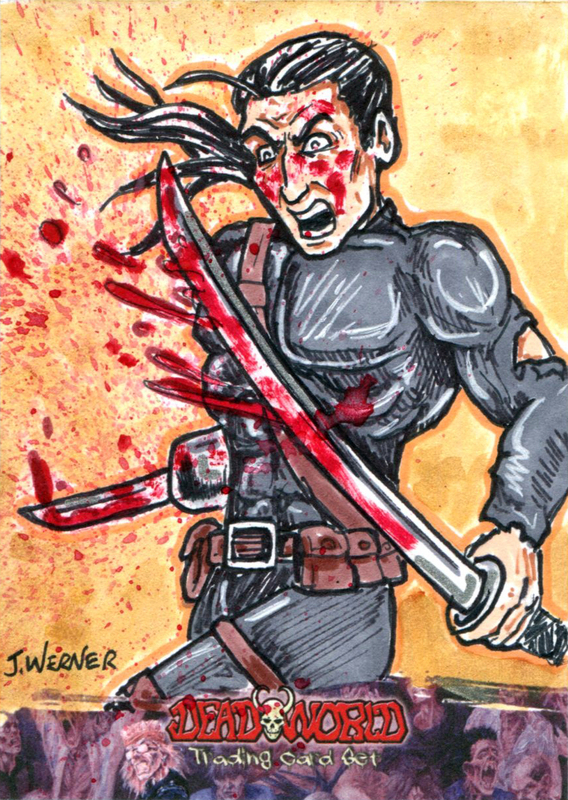 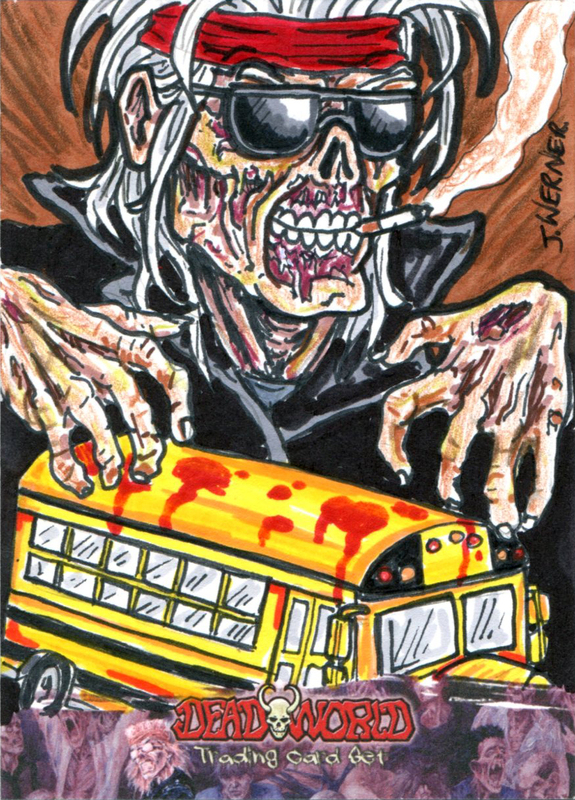 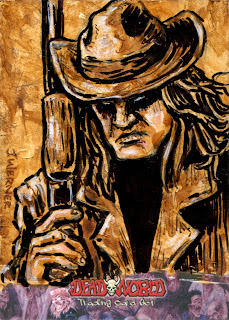 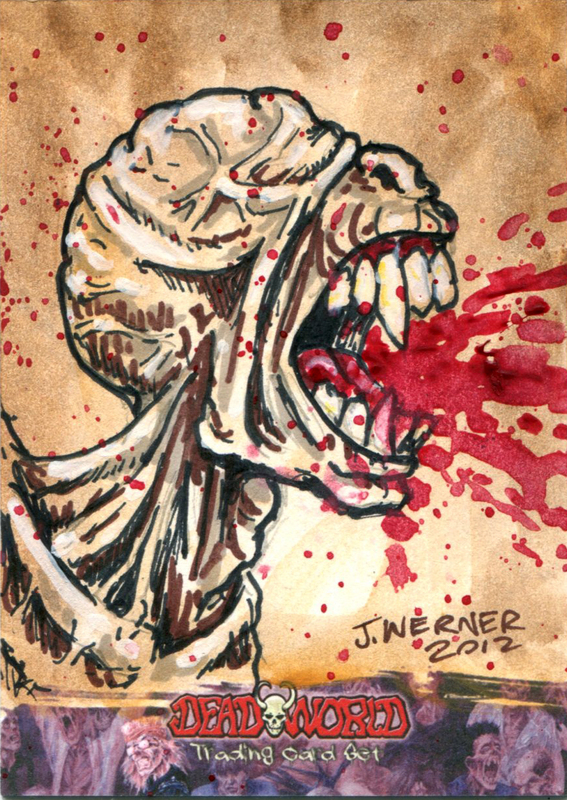 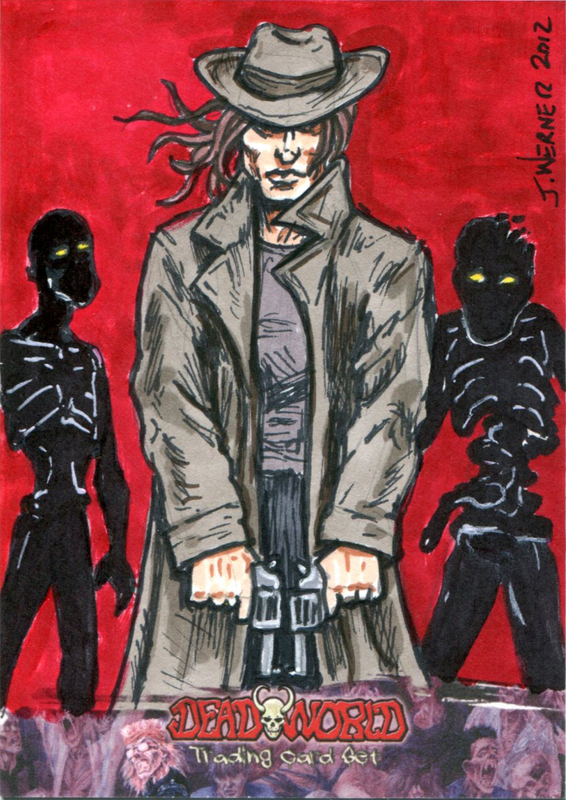 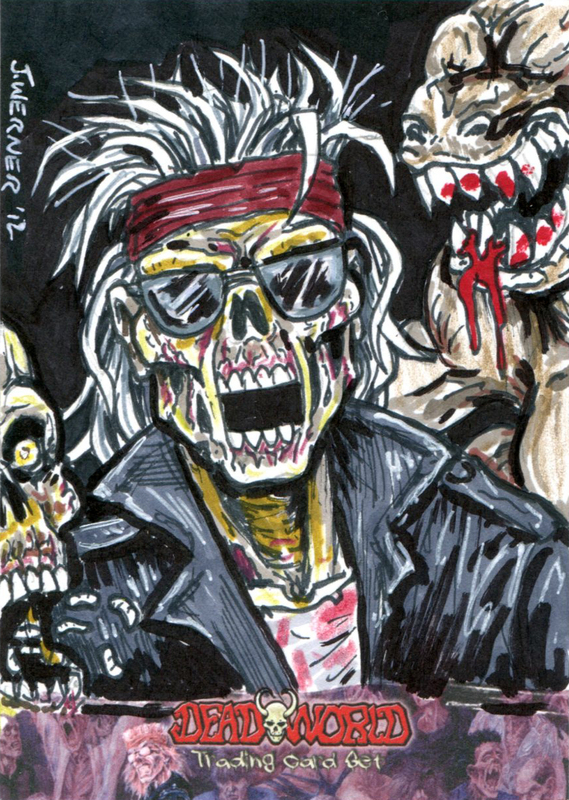 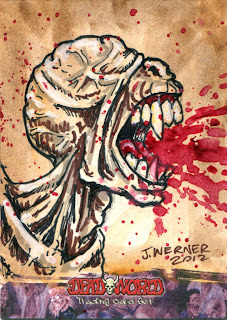 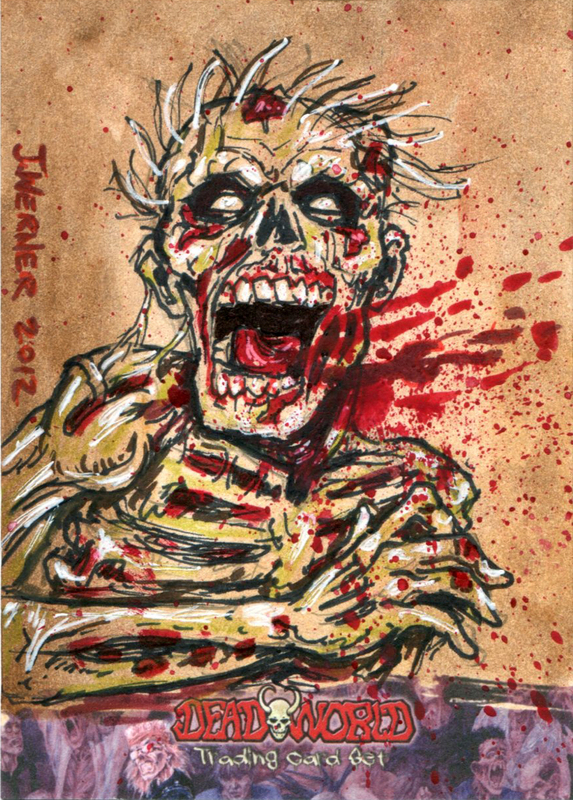 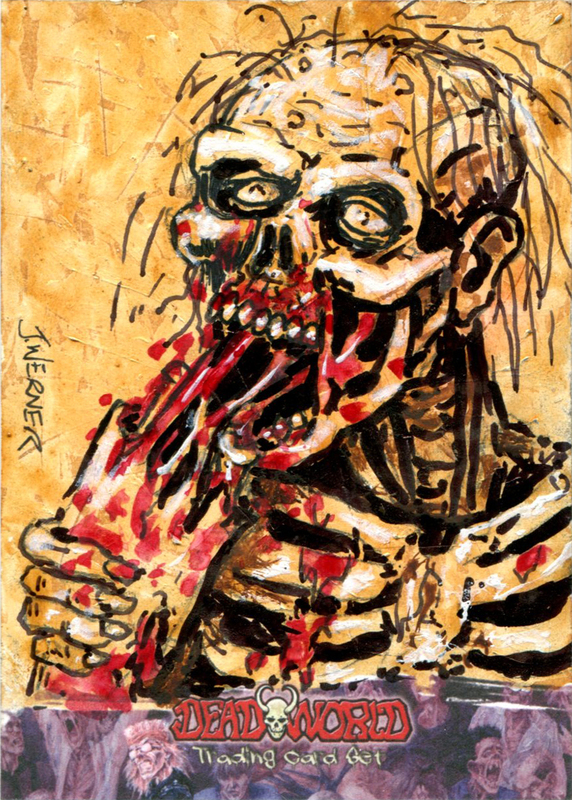 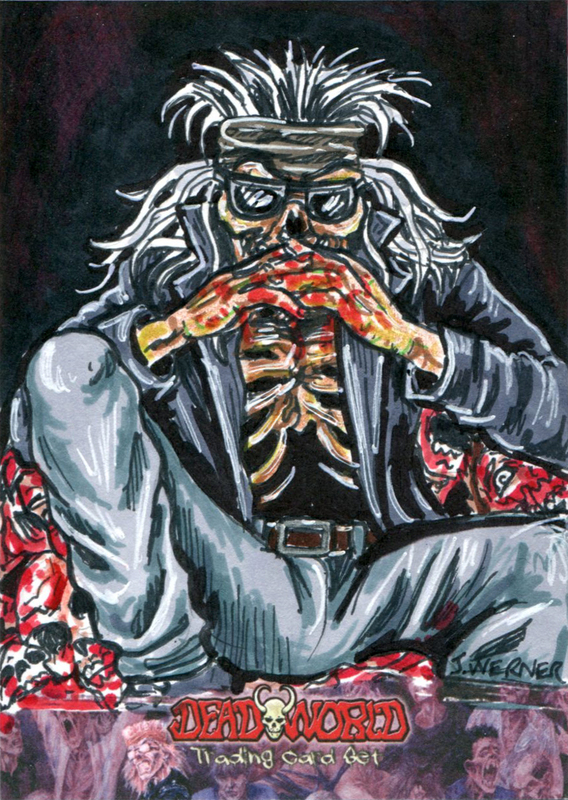 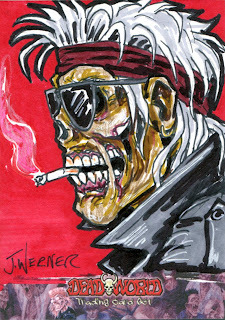 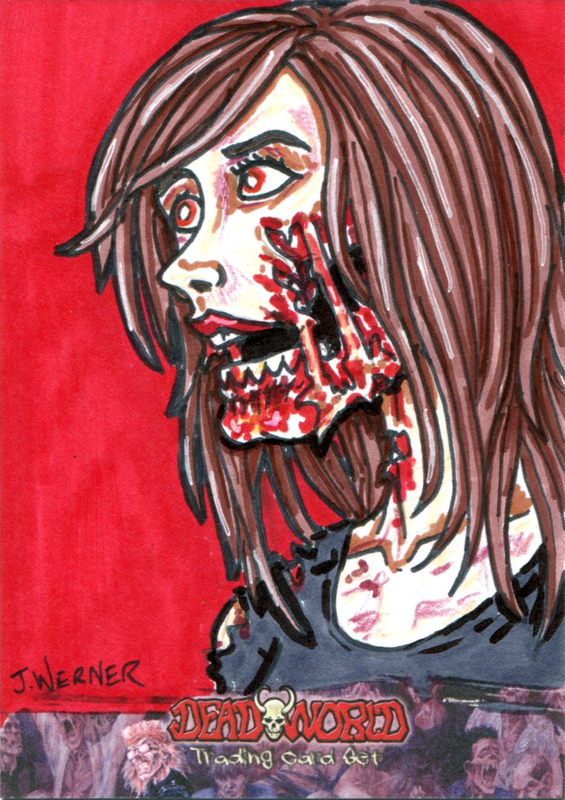 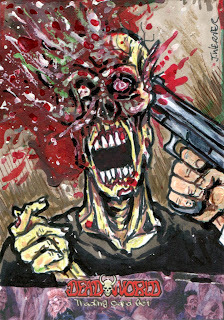 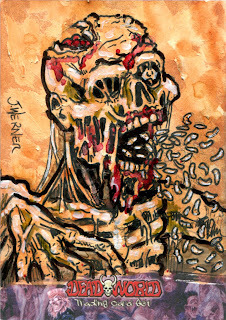 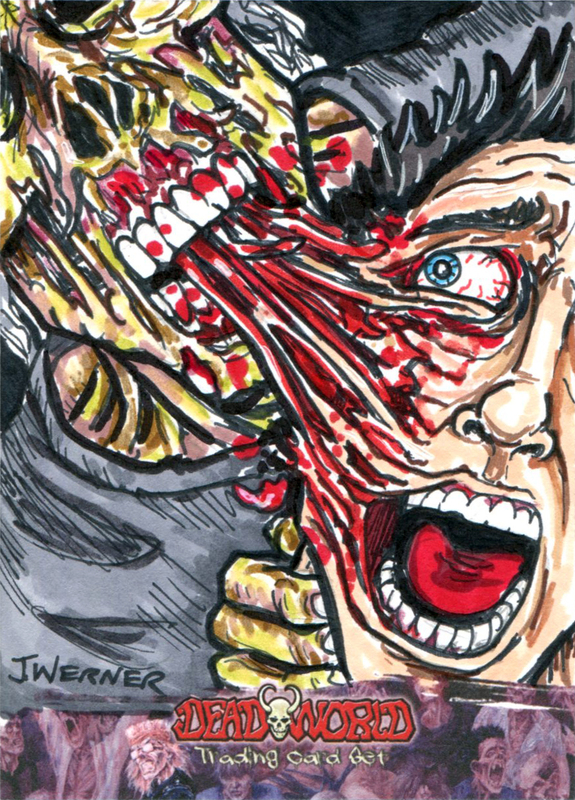 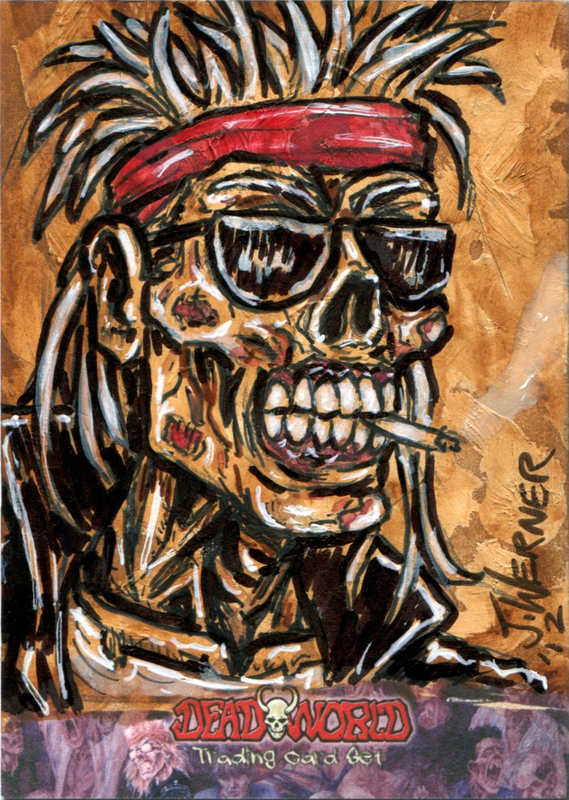 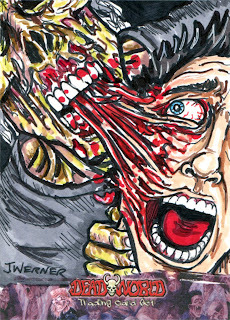 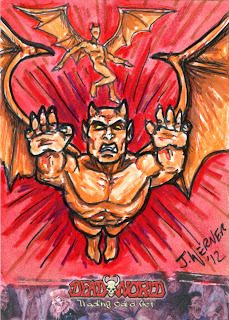 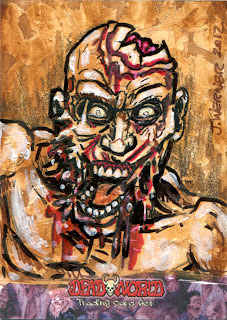 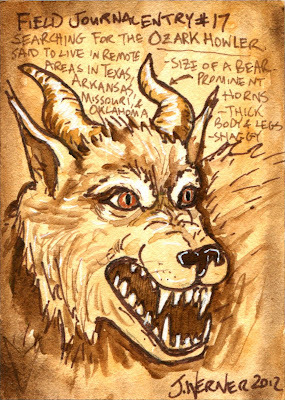 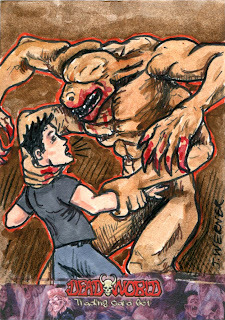 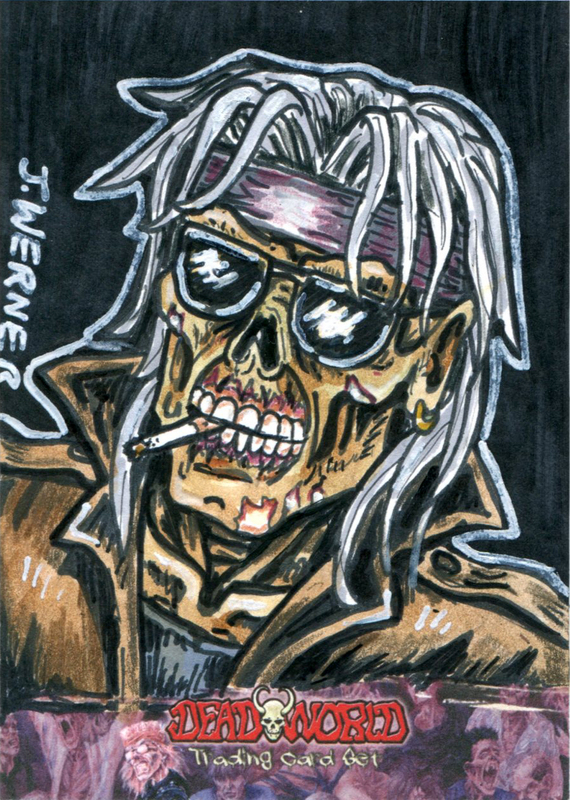 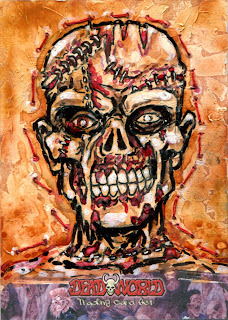 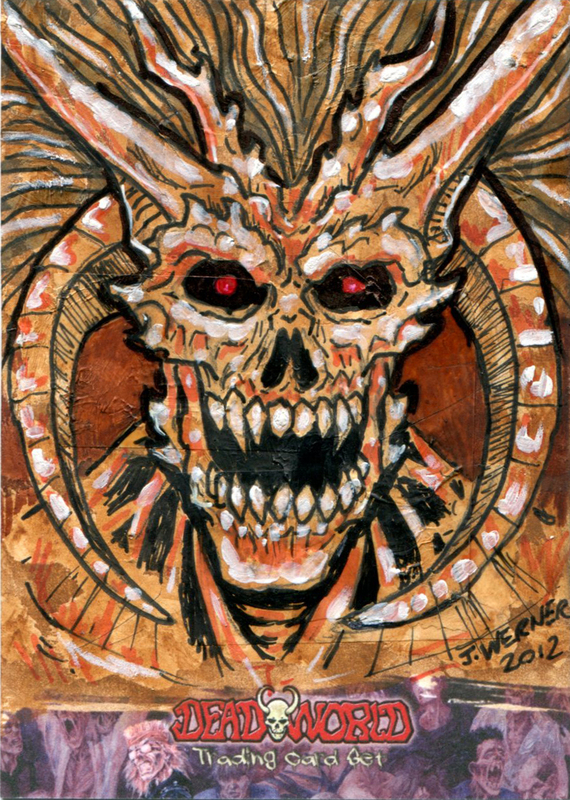 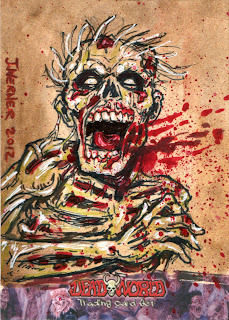 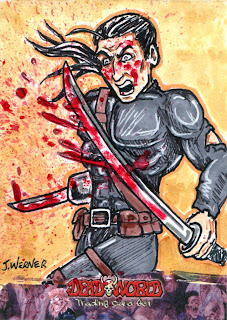 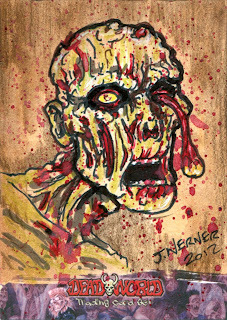 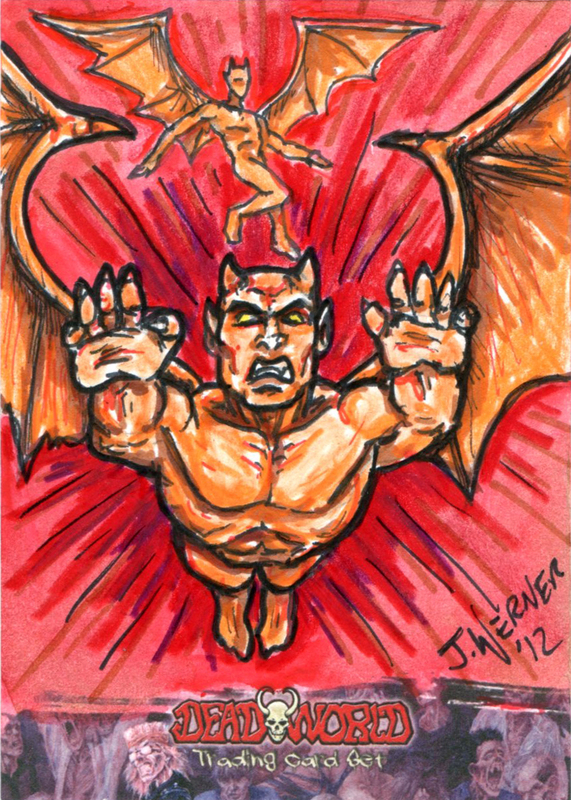 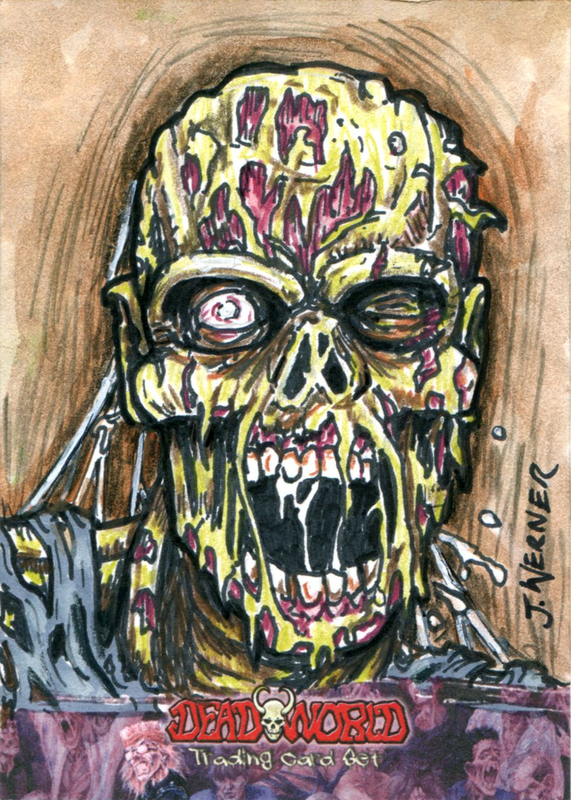 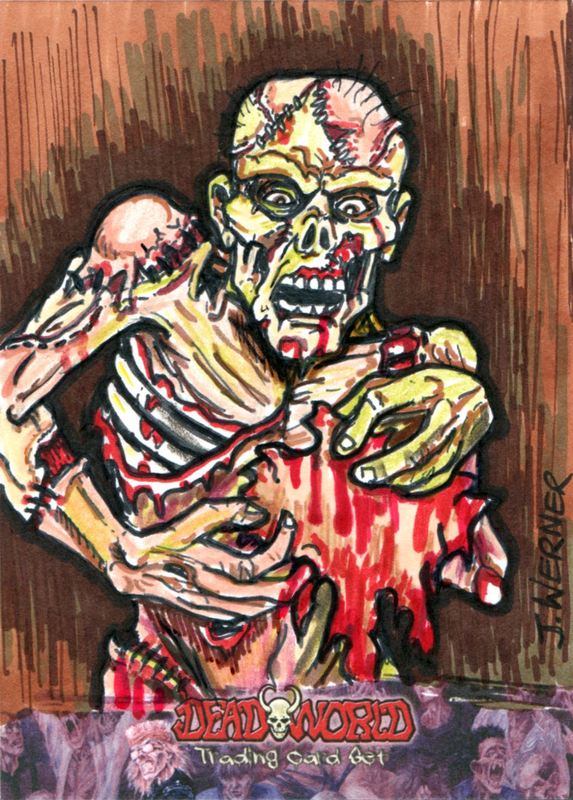 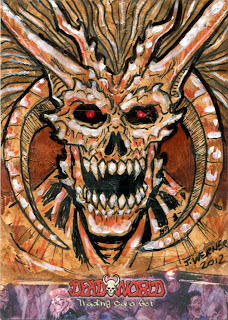 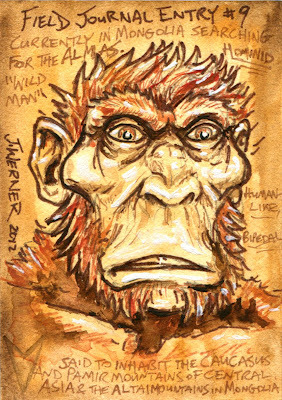 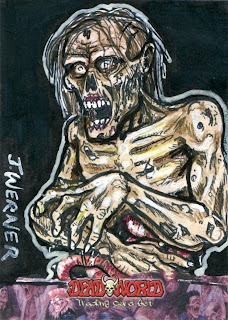 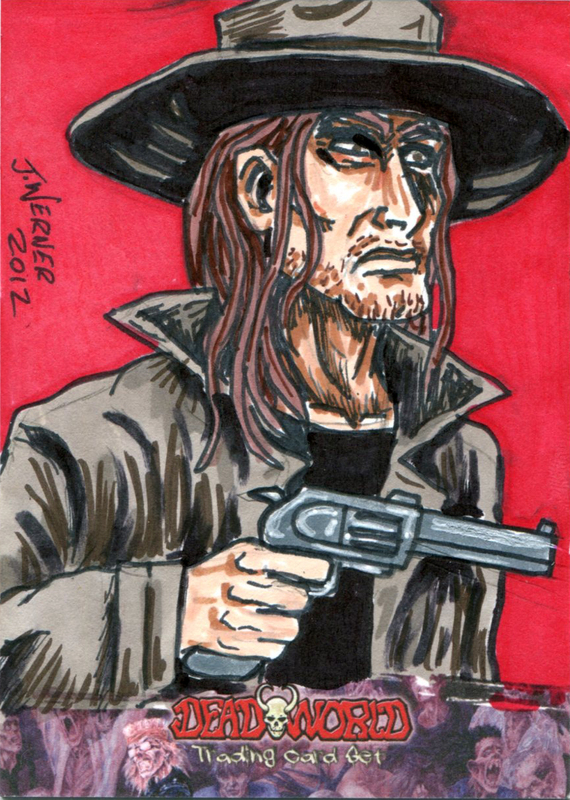 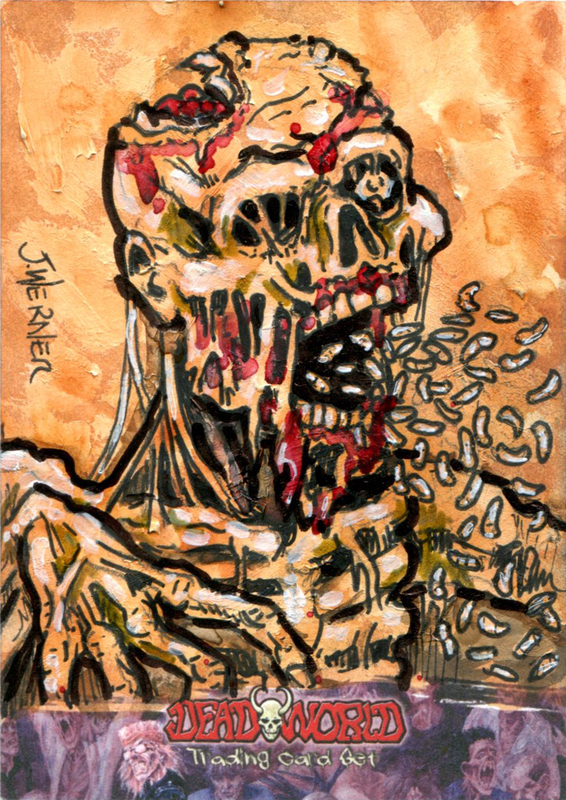 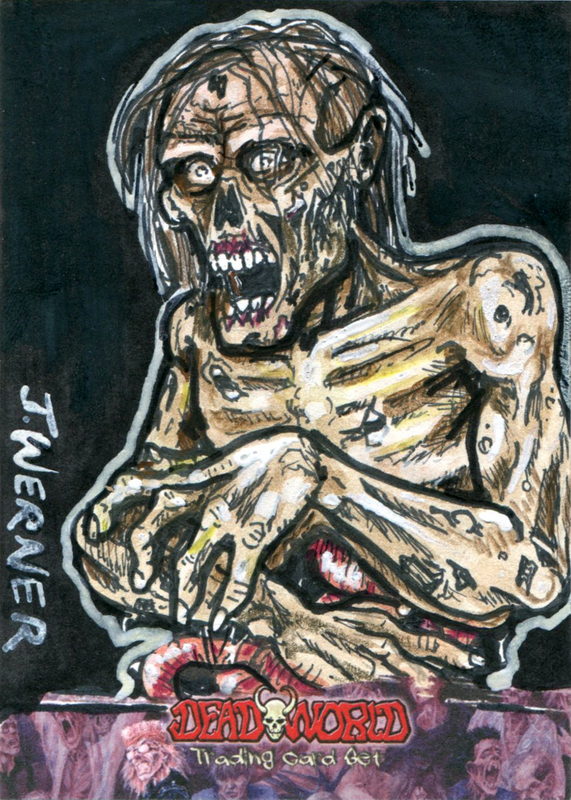 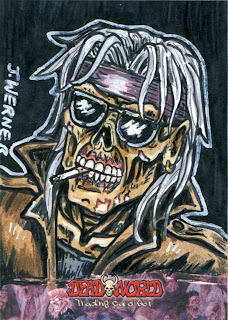 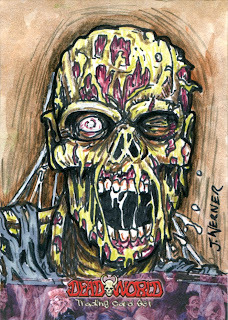 As many of you collectors know, the highly anticipated debut sketch card set from the Viceroy Trading Card Co., "Cryptids", has been released. 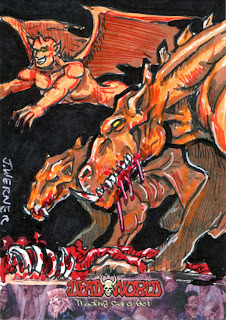 I was excited to see the positive feedback my cards for this set received. All of the sketches I did for this set followed a theme. 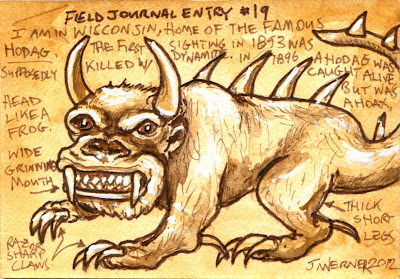 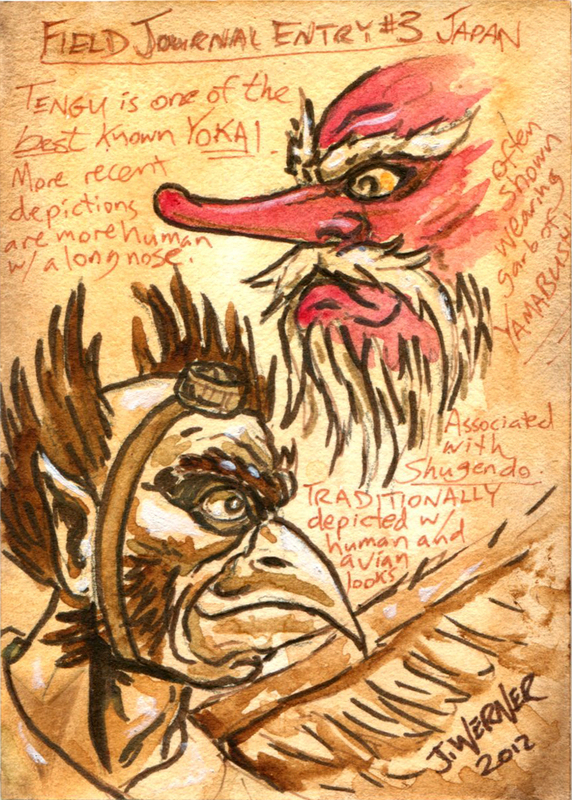 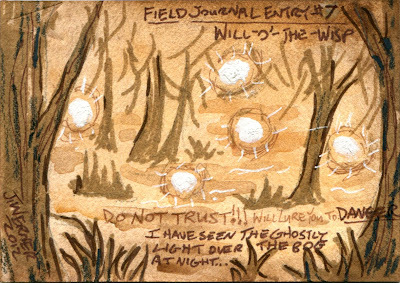 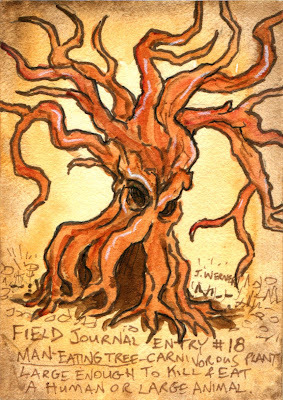 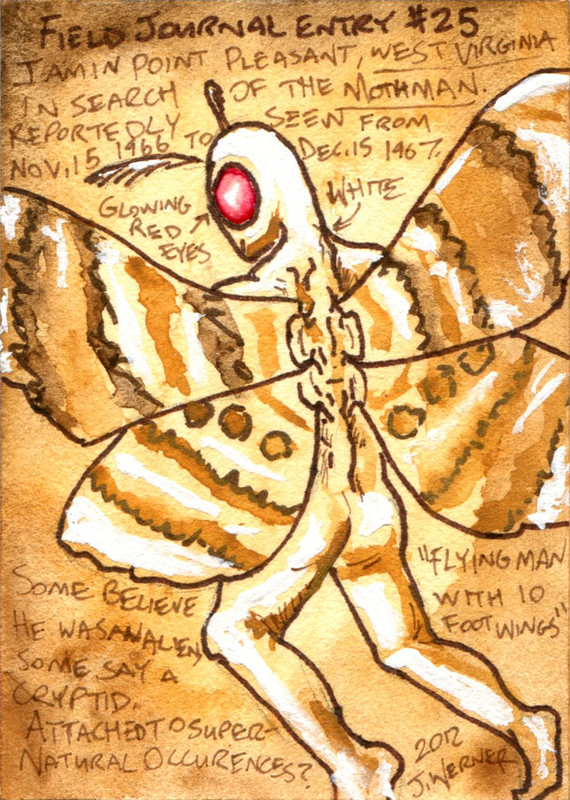 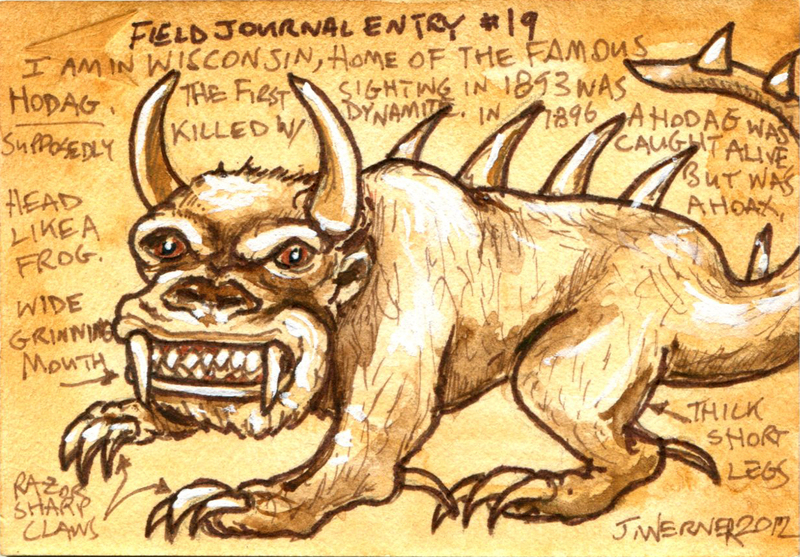 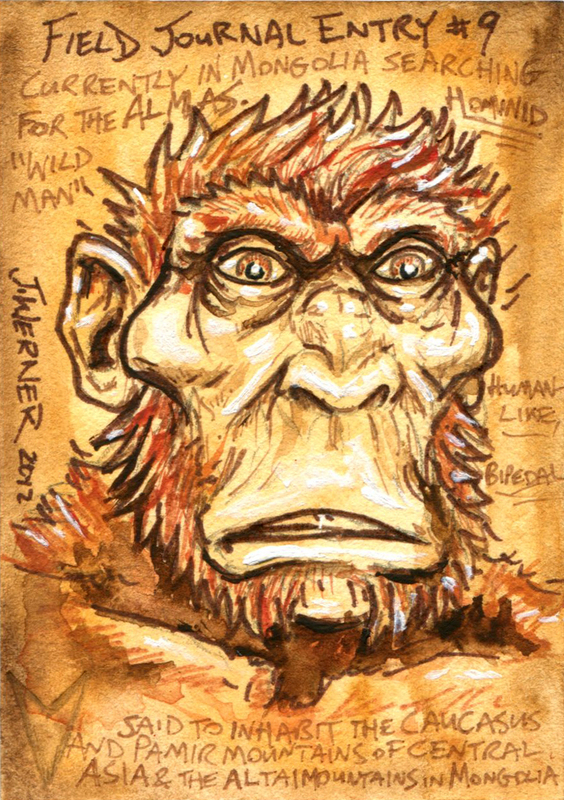 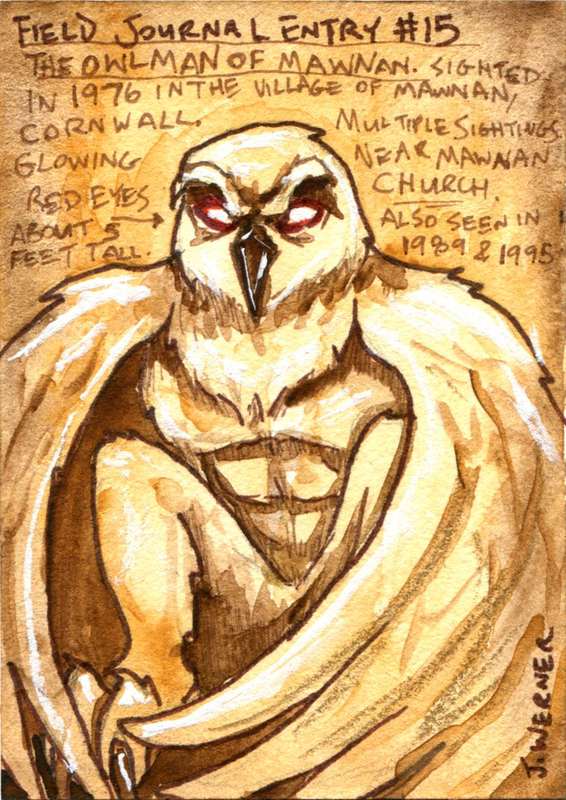 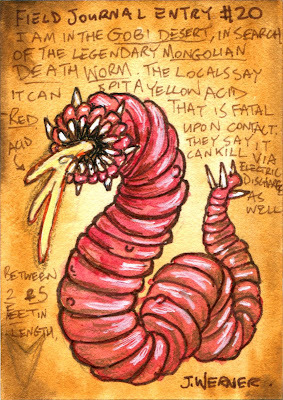 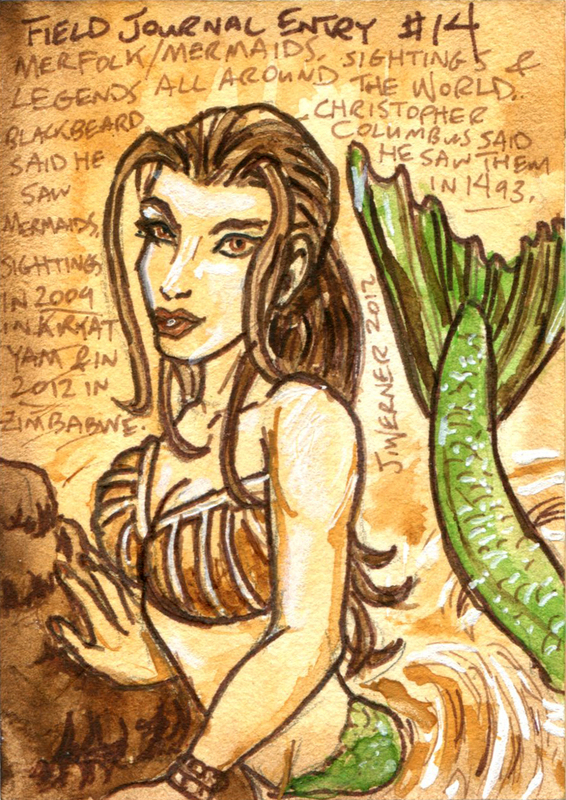 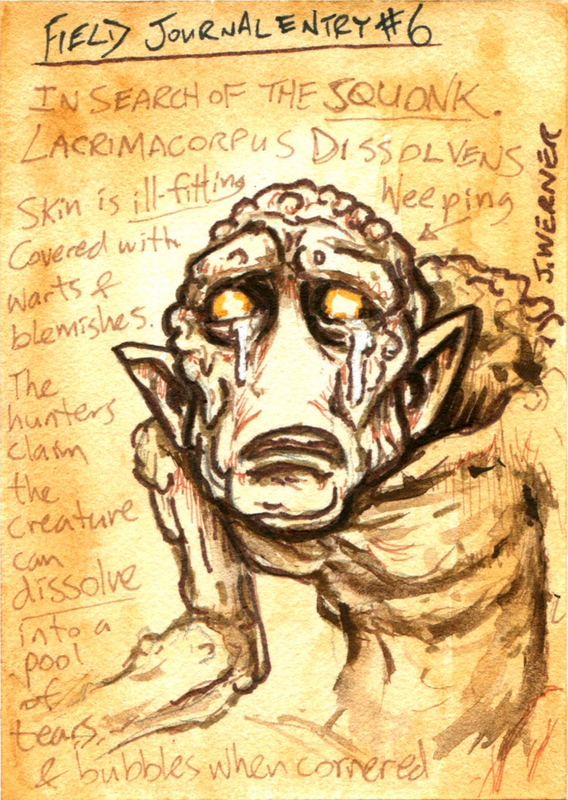 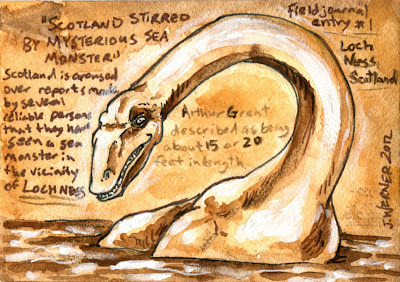 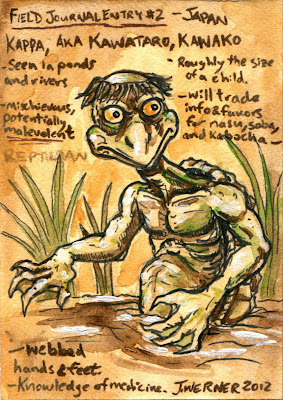 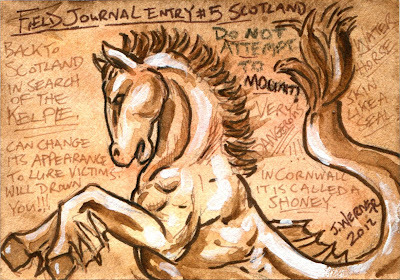 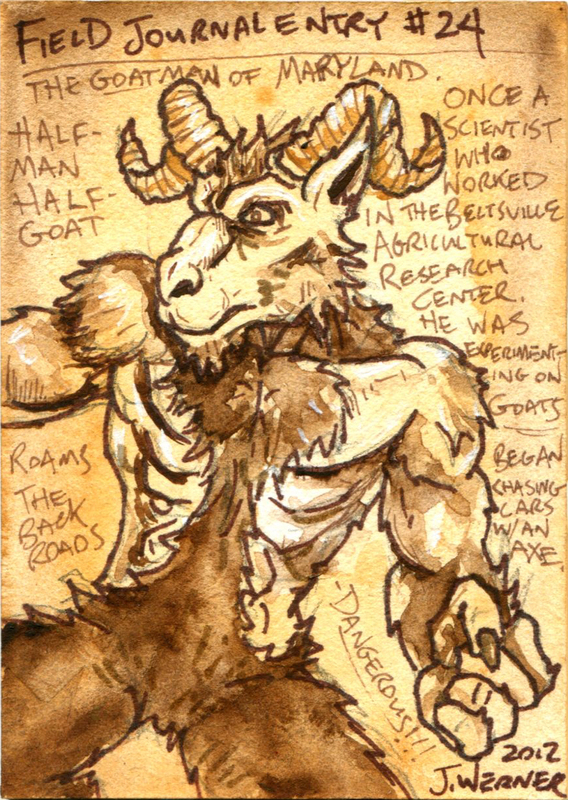 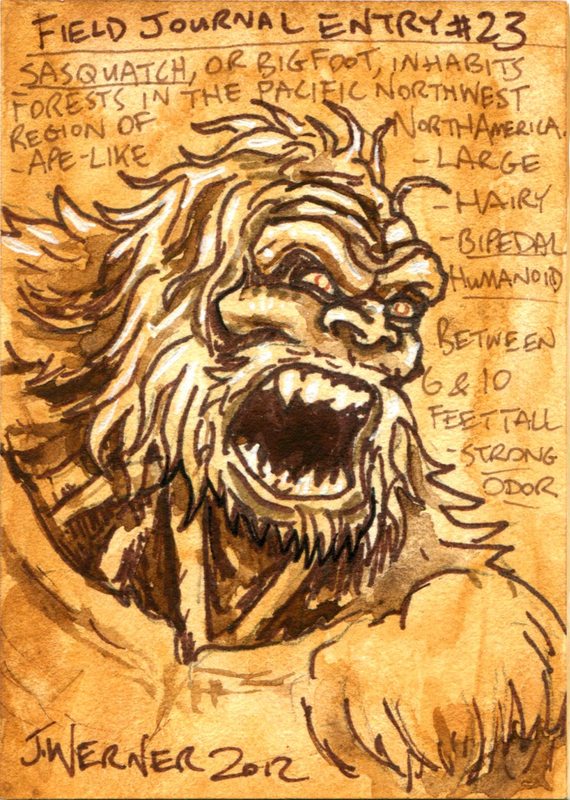 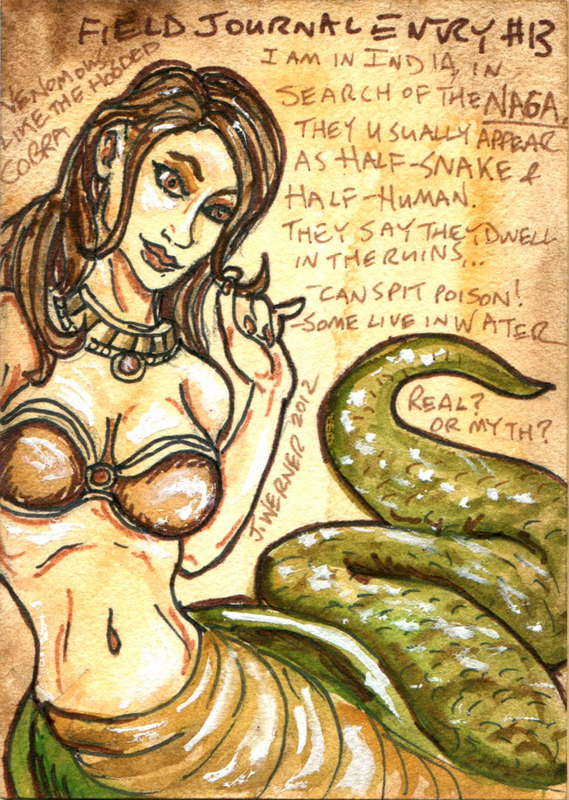 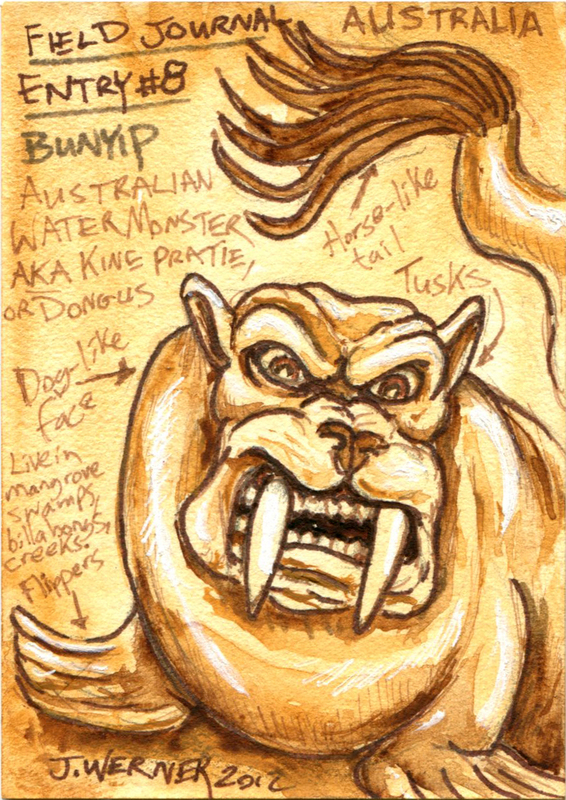 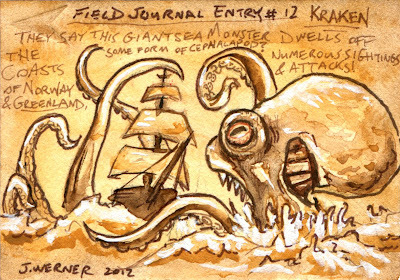 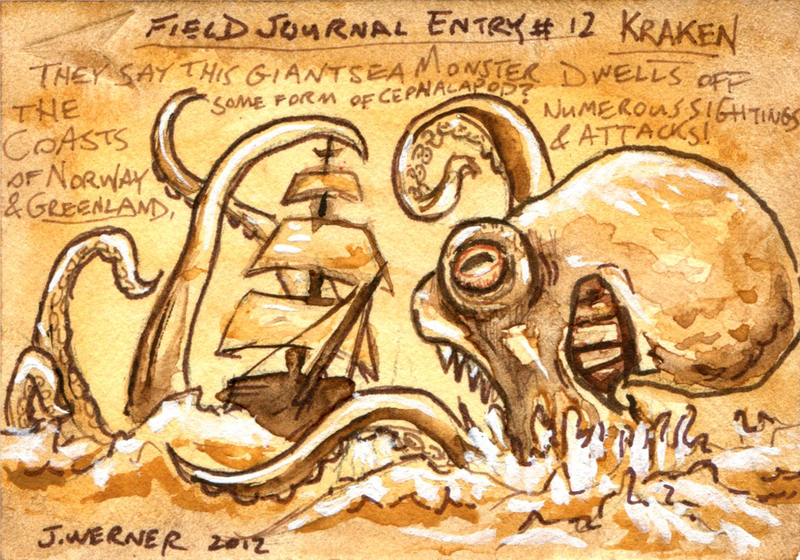 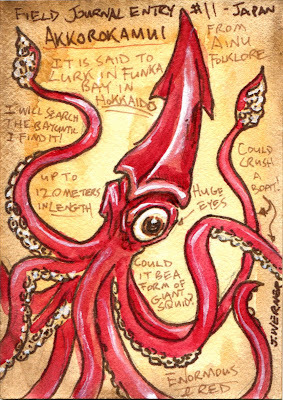 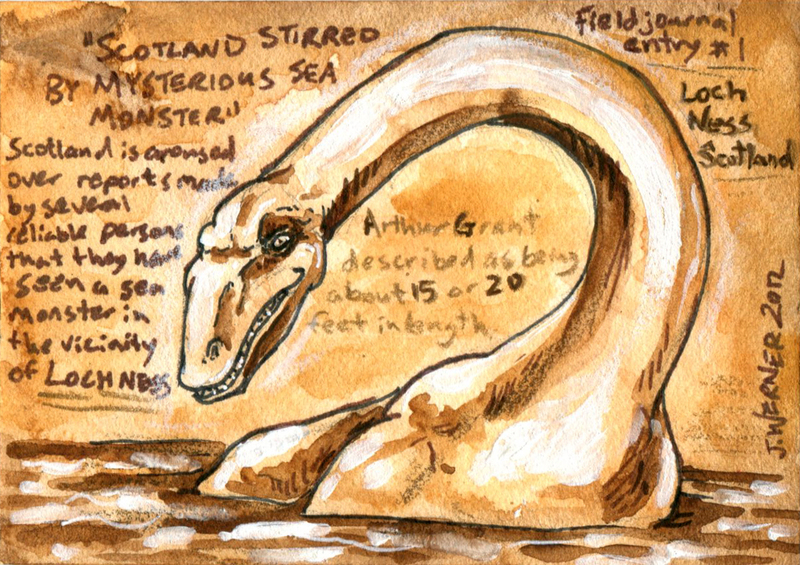 Each of my sketches is intended to be a page from the field journal of a cryptozoologist, complete with messy scribbled notes about each cryptid, and the travels of the cryptozoologist. 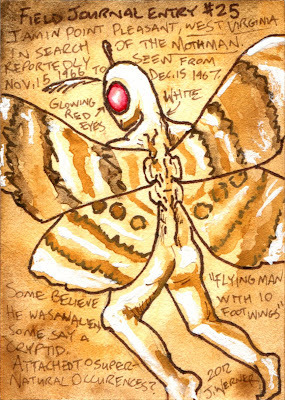 So I figured it's about time I put all images online for the collector's that are trying to collect these cards to reference. 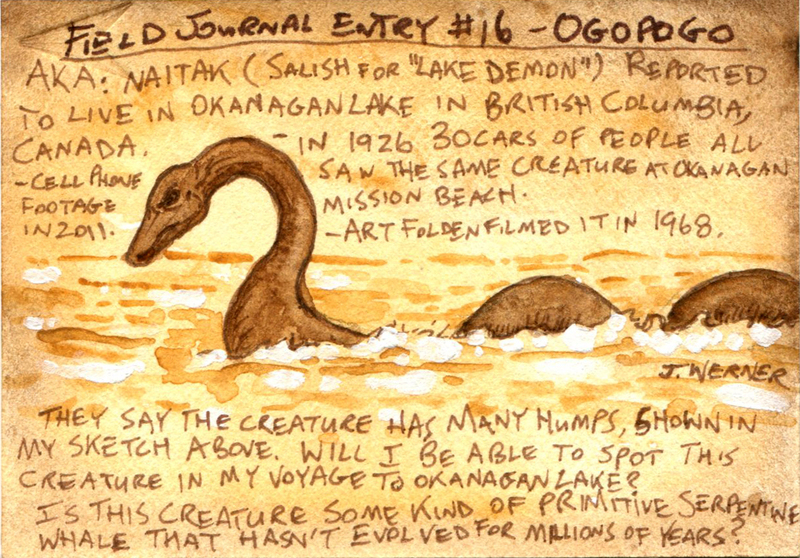 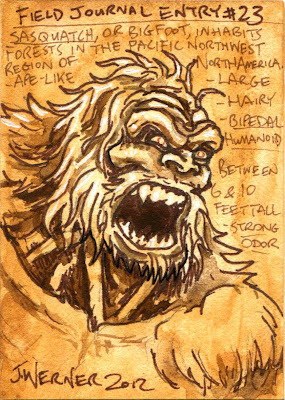 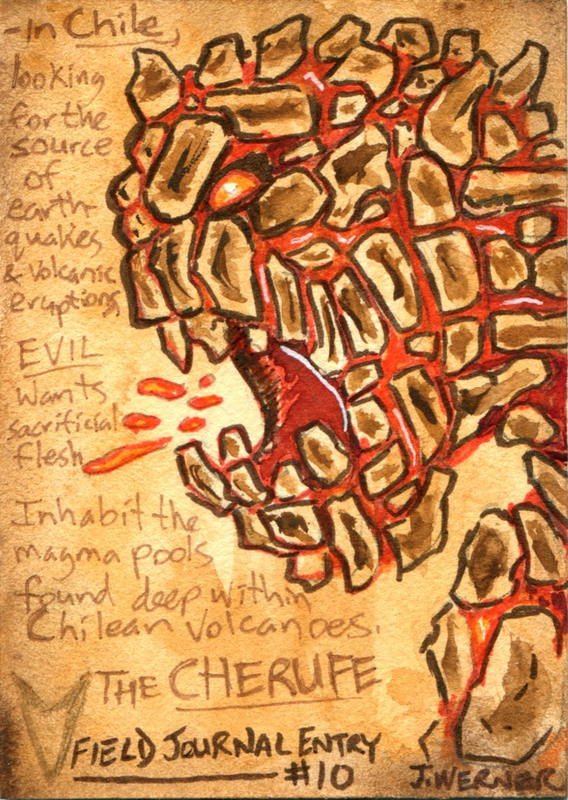 Below is the list of cryptids I did, numbered in the same way the journal entries are numbered on the cards. Below the list are the images. 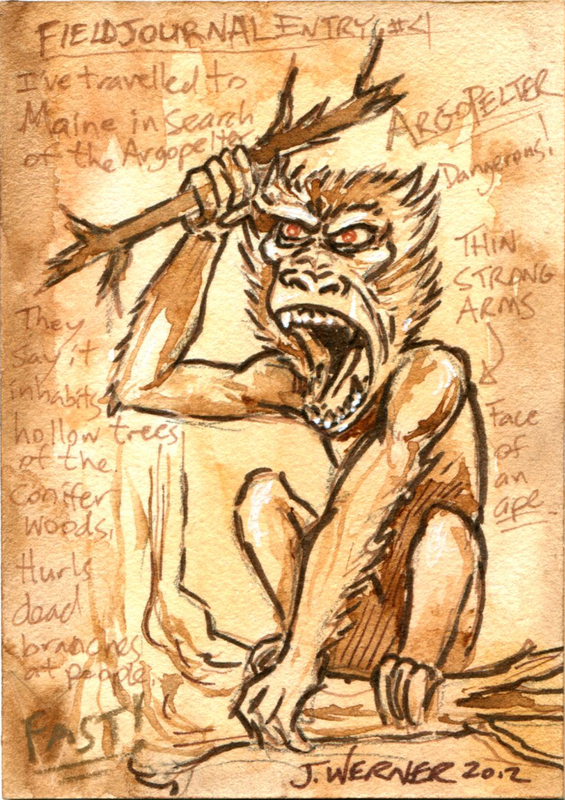 As for APs: all have been spoken for!